Paintings of the Italian countryside became popular with British travellers who associated them with the classical history and myths of their Latin school texts. Before the invention of photography, painting was a primary way of recording remains of the ancient world. Oil was a favoured and more durable medium than watercolour. Wilson was a Welsh painter who had studied in Italy. Dutch landscape painting, particularly the work of Aelbert Cuyp, also influenced him. Wilson's patrons were the wealthy elite who sent their sons on the Grand Tour. He had begun as a portraitist, but in about 1752 gave up portrait painting in favour of landscapes. He continued to paint landscapes in the Italian manner even after he returned to Britain. Wilson was a founder member of the Royal Academy and enjoyed considerable success until the early 1770s. Although his career then went into decline, his treatment of landscape strongly influenced the next generation of artists, particularly William Turner. There was a ready market for idealised Italianate landscapes which evoked not only memories of the glorious and fertile countryside but the sweet melancholy of the classical ruins, half sunk into the earth. This idealised classical treatment of the Italian countryside was eventually applied to scenes in Britain as well. 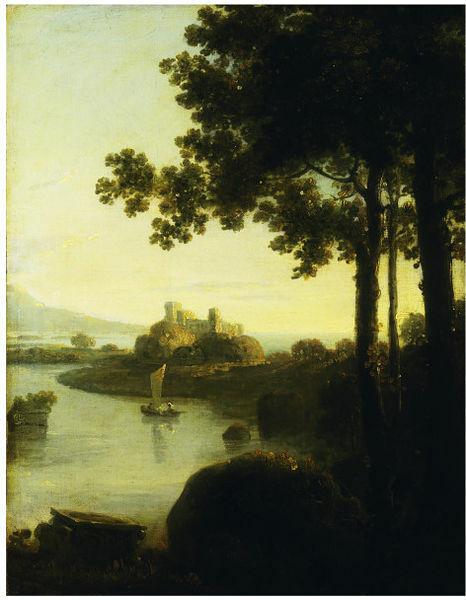 In this picture Wilson has taken elements of the Welsh landscape, complete with imaginary castle, river mouth and trow (cargo boat) and mingled them in a pleasant fantasy which the Italians would have called a 'capriccio'. 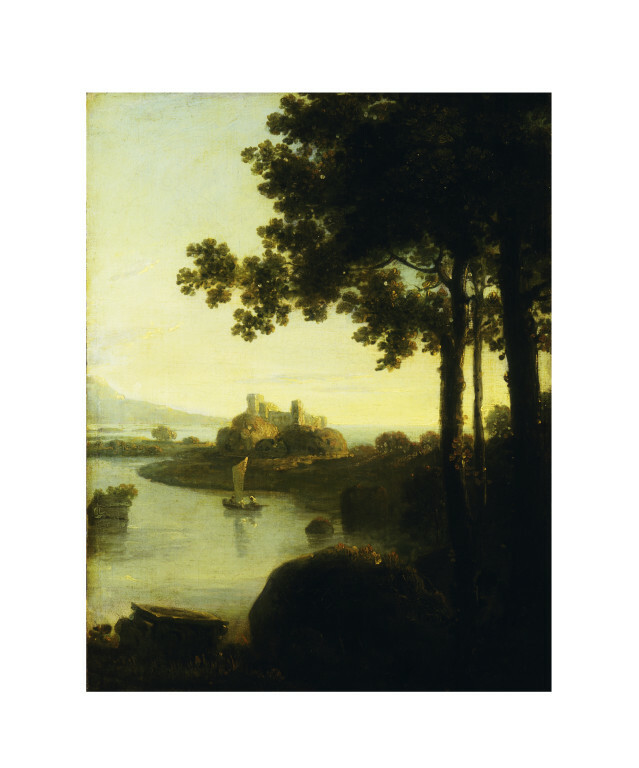 Oil painting depicting a landscape in the evening; river scene with castle. 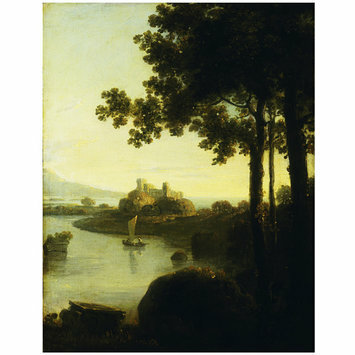 Oil painting by Richard Wilson depicting a landscape in the evening; river scene with castle. Great Britain, ca. mid 18th century.